From the author of the critically acclaimed story collection How This Night Is Different comes a dark, arresting, fearlessly funny story of one young woman's terminal illness. 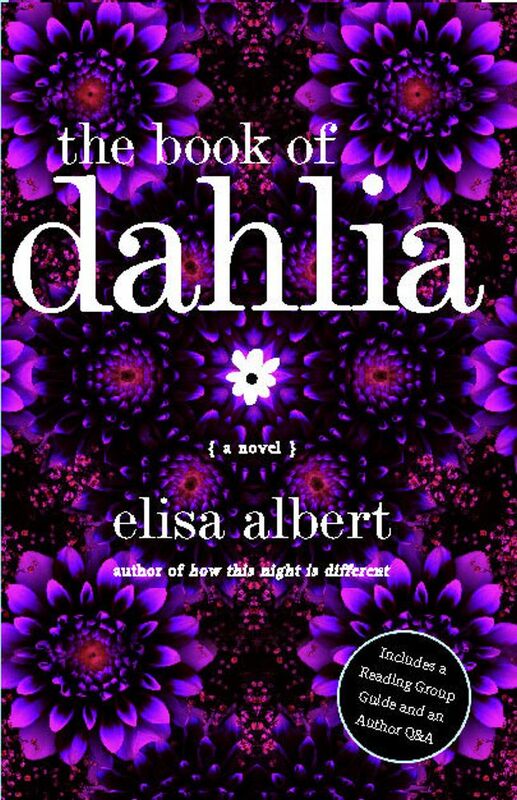 In The Book of Dahlia, Elisa Albert walks a dazzling line between gravitas and irreverence, mining an exhilarating blend of skepticism and curiosity, compassion and candor, high and low culture. Meet Dahlia Finger: twenty-nine, depressed, whip-smart, occasionally affable, bracingly honest, resolutely single, and perennially unemployed. She spends her days stoned in front of the TV, watching the same movies repeatedly, like "a form of prayer." But Dahlia's so-called life is upended by an aggressive, inoperable brain tumor. Stunned and uncomprehending, Dahlia must work toward reluctant emotional reckoning with the aid of a questionable self-help guide. She obsessively revisits the myriad heartbreaks, disappointments, rages, and regrets that comprise the story of her life -- from her parents' haphazard Israeli courtship to her kibbutz conception; from the role of beloved daughter and little sister to that of abandoned, suicidal adolescent; from an affluent childhood in Los Angeles to an aimless existence in the gentrified wilds of Brooklyn; from a girl with "options" to a girl with none -- convinced that cancer struck because she herself is somehow at fault. With her take-no-prisoners perspective, her depressive humor, and her extreme vulnerability, Dahlia Finger is an unforgettable anti-heroine. This staggering portrait of one young woman's life and death confirms Elisa Albert as a "witty, incisive" (Variety) and even "wonder-inducing" writer (Time Out New York). Elisa Albert is the author of the short story collection How This Night is Different and the novel The Book of Dahlia. She has taught creative writing at Columbia University and is currently Writer-in-Residence at the Netherlands Institute for Advanced Study in Holland.